Persian carpets have been extremely popular in houses across the world for centuries and were considered an extremely pricey gift. Weaving these required months and sometimes years, but their rich colours and exquisite designs have made them extremely popular. However, a machine made Persian rug is quite different from a hand-weaved one and thus does exude the same charm. It is quite difficult for a novice carpet buyer to differentiate between a handmade Persian carpet and a machine made one. 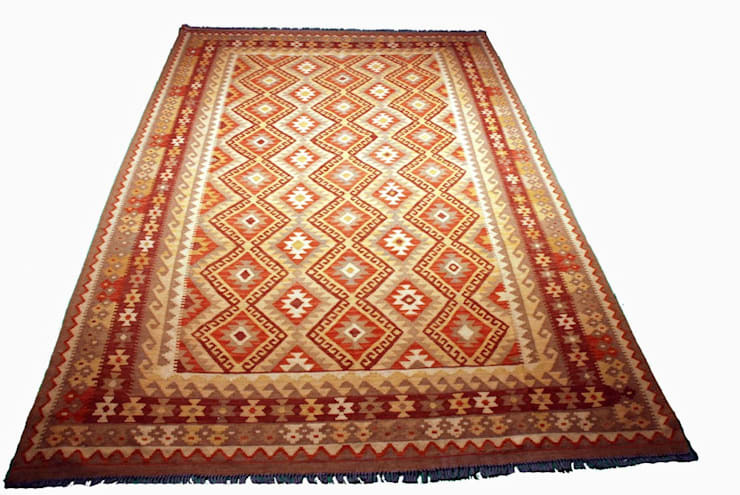 Especially with newer machines having made a foray into the carpet making industry, there is a very slim line differentiating the actual handmade one from a machine weaved one. 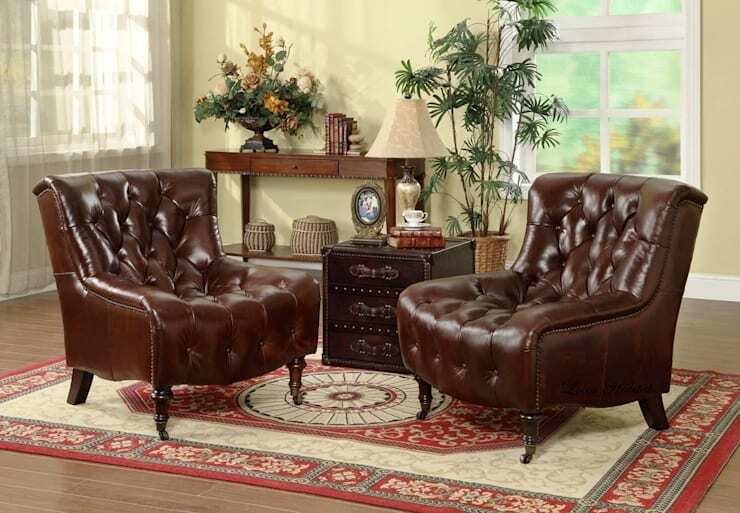 However, connoisseurs who regularly deal with these can easily distinguish a handmade one by checking features such as frayed ends, running the palm over the carpet and checking the lines. Let us discuss each of these features one by one and help you learn the art of original handmade Persian carpets! 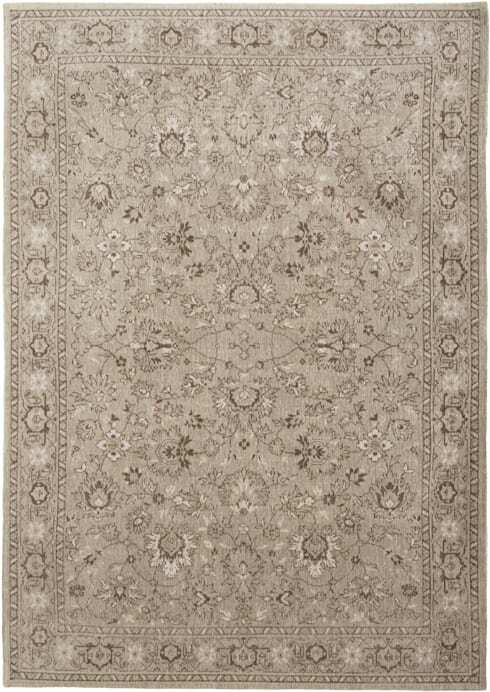 One of the simplest and easiest tips which help differentiate a machine-made rug from a handmade Persian carpet is the end. A machine made carpet will have its end punched and then an artificial fringe sewn over this punched end. While an original hand-weaved Oriental carpet will not have its end punched. This beautiful example of a Persian carpet is from the house of Louis De Poortere in Mouscron. When deciding whether that Persian carpet you are looking is handmade or machine made, just turn it over and use a magnifying glass to ensure that the manufacturer’s detail about knots per square inch is authentic and not just made up. 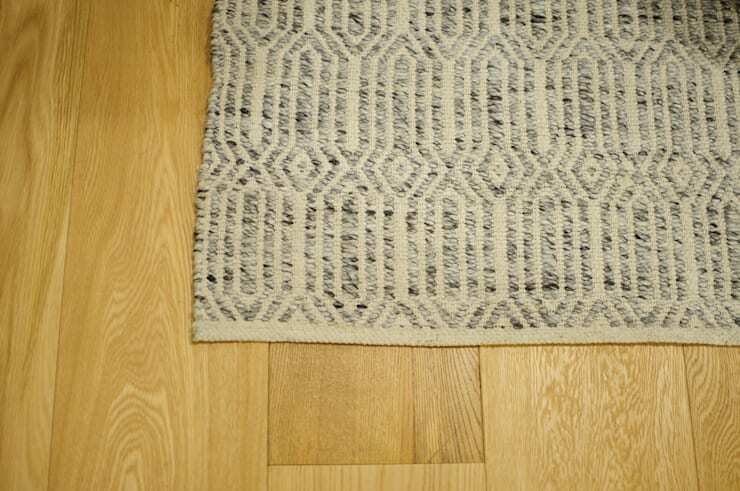 When you turn the carpet, you will observe knotted rows which can be compared to the specification given by the manufacturer to avoid being duped. Another tip while looking at the back of a hand knotted Persian rug is to check if the back of the rug. A machine made Persian carpet will have identical designs on the front and back while an original hand-knotted Persian carpet will have slight dissimilarities on the front and back. 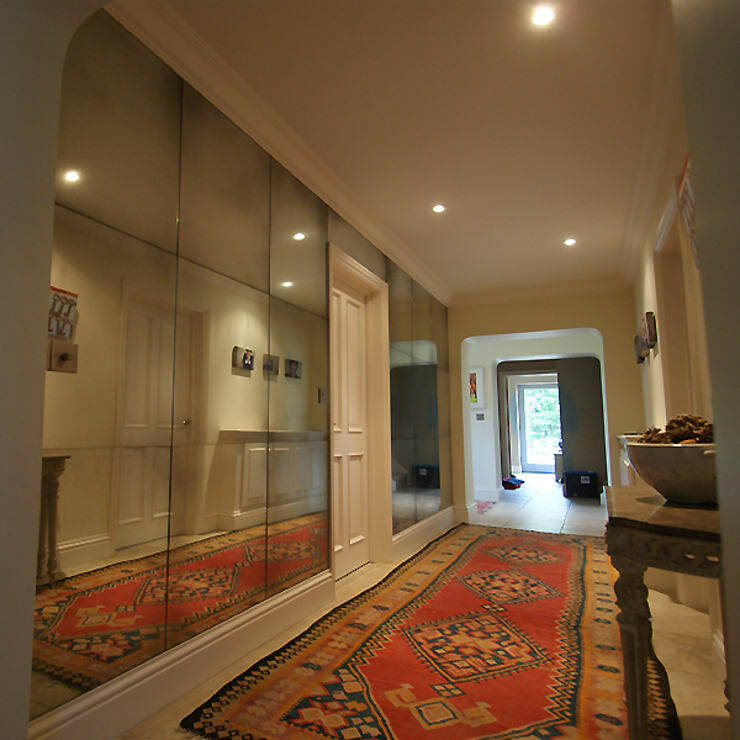 Also, a hand-knotted Persian carpet will not have perfectly straight lines at the back. Looking at the value of the Persian carpet is also another way of determining its originality. Take the help of an expert of Persian carpet or textile conservator and find out the value of the Persian carpet with his/her help. This expert, with the help of equipment such as electron microscope or optical microscope, will be able to tell you about the authenticity of your carpet. Feel the softness of a Persian carpet to differentiate a machine-made one from the hand-weaved one. A machine-made carpet, especially on the backside, appears rough to the touch on account of being machine weaved. A hand-weaved Persian carpet will appear softer and smoother both on the front as well as on the back. However, do not rely solely on this method to check for the authenticity of the carpet that you intend to buy as sometimes even machine-made carpets which have been made on power looms like karastan tend to have smoother, softer sides, thus confusing the buyer. So, check for this along with others to avoid being duped. Enquire about the place from which the hand-weaved Persian carpet came. Ask the dealer about its origin, the time it took to make it from scratch, the significance of the design on the carpet etc. This will give you an idea about the originality of the carpet. Countries such as Afghanistan, Iran, Turkey, India, China, Tibet, and Pakistan are known for producing high quality and authentic Persian carpets. Egypt and Morocco from North Africa and Armenia and Azerbaijan too are known for their excellent quality of handmade Persian carpet. Also, different regions have different designs. So keep in this mind when enquiring about the manufacturing place of that carpet. The last tip which we can give you when checking for the authenticity of that Persian carpet is to check the fringes of the rug. The fringes are an expansion of the base warp yarns of the rug. Check whether they are naturally broken or not. An original handmade Persian carpet will have frayed ends which are an extension of the carpet itself while a machine made one will have frayed ends sewn over the carpet. This is one of the easiest ways to tell apart a machine-made one from a handmade carpet. So ensure that the frayed fringes of the carpet you are contemplating buying is an extension of the rug itself and has not been stitched over it. A naturally broken fringed end indicates an authentic handmade Persian carpet while the opposite refers to a machine-made one. So inspect carefully and satisfy yourself before making your big purchase. Keep in mind the above points and see yourself investing in a rare and exquisite hand-weaved Oriental carpet to be treasured not just by you but the coming generations of your family! 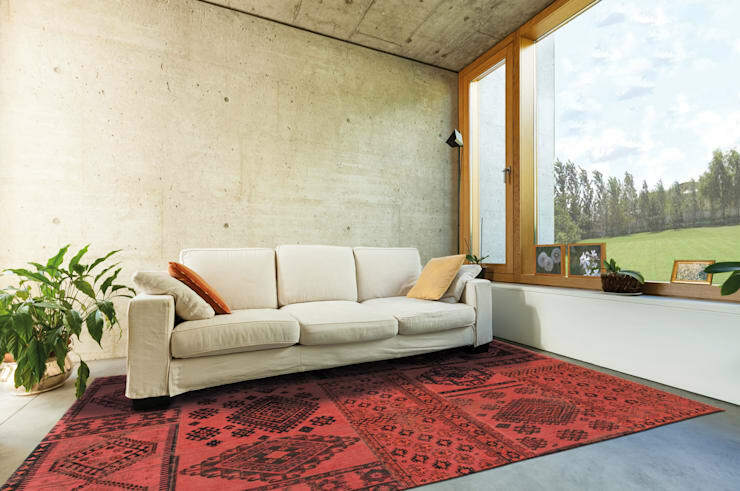 For more rug-related ideas to accentuate your home, read Picking the Right Rug For Your Home. Are you a fan of Persian carpets? Do you have any tips for our readers? Let us know in the comments!